Could ORANGE be your brand colour? Choosing your brand colour can be tricky. Where do you start? How do you know which colours are right for your brand and business? It takes someone 90 seconds to form an opinion about your business. Research shows that over 60% of that opinion is based on colour alone. Colour increases brand recognition by 80%. So your brand colour is an important part of your brand identity. It helps to create your visual brand consistency. Let’s get this straight. There are no bad colours. Every colour has upsides and downsides. The trick is to match the upsides of your brand colour palette with your positioning, proposition, values, personality and essence. The human eye perceives thousands of colours. And every individual sees colours differently. This means you may see more tints or tones or shades of a hue than me. Or vice versa. What I love about working on brand colour is having the flexibility to follow the acknowledged guidelines or to disrupt the rules. There are plenty of colour guidelines around, yet selecting your best brand colour also requires an artistic sensibility, combined with an intuitive understanding and experience of how branding works. Sometimes nailing the precise shade, tint or tone of a hue is paramount – and sometimes there’s a little bit more leeway. This is where intuition and experience play their part. What matters most is how your customers respond to your brand colour palette. On an emotional level, your customer should feel the combination of your brand colour palette, logo and typography are authentic and true to your brand. How might your clients have experienced orange in their lives? They might like or dislike the taste and texture of orange-coloured fruits and vegetables – from oranges, tangerines and mandarins to carrots, peppers and pumpkins. In general, these orange-coloured fruits and vegetables seem wholesome, tasty and full of goodness. In my experience, tangerines are associated with Christmas and pumpkins with Halloween – two celebrations that are fun and family oriented, particularly for the young. How might orange appear to your clients? When I went to the London Olympics by tube, I remember seeing a very tall man dressed in a bright orange suit. It was impossible not to smile at him. It was also clear he came to support the Netherlands. How did I know? Firstly, because of his height – the Dutch are one of the tallest nations in Europe. Secondly, because the Dutch football team ‘Oranje’ wear orange (not red, white and blue – the colours of the national flag). Thirdly, because orange has been adopted by the Dutch as their national colour, probably because it’s the colour of the royal family – the House of Orange-Nassau. Now ‘orange fever’ unites the Dutch on football days and holidays. How might the psychology of orange be relevant to your brand proposition and your clients? Orange is the sociable colour. Conveys adventure, optimism, self-confidence and sociability. Is softer than red, yet still vibrates with creative energy. How might orange match the benefits you bring your clients? Orange can be stimulating to social conversation. It can be inspiring and create enthusiasm. In short, orange is sociable, upbeat, cheerful, confident, independent, fun, flamboyant, enthusiastic, high-spirited, adventurous, youthful and friendly. If used inappropriately, the downsides of orange include inexpensive, ambitious, superficial and insincere. 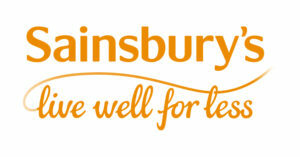 Here are three brands – Sainsbury’s, B&Q and Easyjet. Each one takes one aspect of orange – ‘inexpensive’ – and converts it into an authentic strength. This is because each brand is positioned to offer great value. And none of them is the cheapest in their category. All three brands are cheerful, optimistic, enthusiastic and confident. B&Q helps you make a better home, bringing you the tools, know-how and encouragement – ‘Let’s do it’ together. Easyjet includes a commitment to ‘one team’ as a core brand value. And EasyJet takes you on holiday adventures. Nickelodeon – the cartoon network – also uses the upside qualities of orange very well – being fun, flamboyant, high-spirited, youthful and friendly. Here’s a brand that turns orange = inexpensive on its head. Hermès is a luxury brand using orange with immense success. Unlike many luxury French fashion brands, it didn’t start as a fashion house. Instead, the business began by making the finest leather accessories for the horses of European nobility. This heritage in making exquisite equine leather products means that burnished orange and chestnut brown colours are authentic and true to the roots of the brand. Hermès still makes the finest bridles, stirrups, blankets and accessories for horses today, although it is better known for sumptuous scarves, ties, handbags and leatherware. 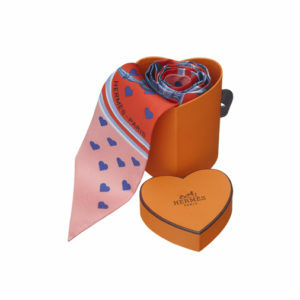 The distinctive burnished orange boxes for Hermès leather handbags, silk ties and scarves provide a radiant point of difference in a luxury fashion world often dominated by black. More to the point, the orange of Hermès also conveys innate self-confidence, optimism and the spirit of adventure. Hence your brand colours have a dual role. Yet again, it all comes back to the importance of knowing your customers. Not just what they like, but also why they like it – and how they feel about it. This is why, when it comes to evaluating options for your brand colour palette, it’s important to consider your target customers as well as the brand purpose, values and personality. Orange is a great choice if your brand and your customers are sociable, adventurous, independent, confident and enthusiastic. And this is just one example. It’s a good idea to benchmark the brand colours used by competitors. And to check if any brand colour holds a specific meaning. For example, red is the colour code for ready salted crisps in the UK, which makes it quick and easy to find ready salted packets in store. It’s always best to use these well-known sector or product colour codes when it makes communication and understanding simpler and quicker. In other cases, it might play to your advantage to be different. Not just for the heck of it, but because the brand colour has appropriate meaning and relevance for your brand and your customers. Hermès is a great example of this. Orange differentiates the Hermès brand in luxury fashion – yet it is true to the brand origins. Choosing your brand colours is strategic. Your own brand in depth. There’s a lot more to brand colour than meets the eye, so please do get in touch here if you’d like to discover which colours could work best for your brand. Or if you’d like to sign up for our monthly emails, Branding Matters with tips on creating brands that resonate with your customers, simply sign up here.